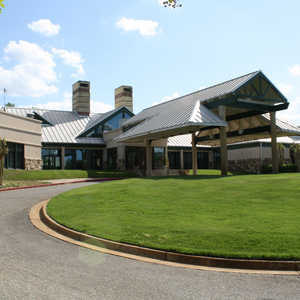 The older Hummingbird Course, which has taken a back seat to the now-famous Dogwood Course, still offered some adequate golf even though the quality was not up to the standards of its more popular brethren. Highlighted by extreme elevation changes, the course’s signature hole was the 566-yard No. 2, which required two shots over a hill followed by a tricky approach back downhill to the green. 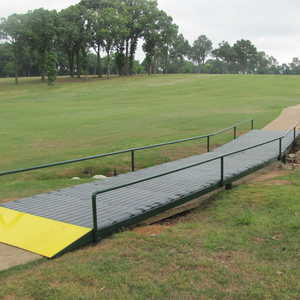 Hummingbird course was closed recently and only the newer Dogwood course can be played. 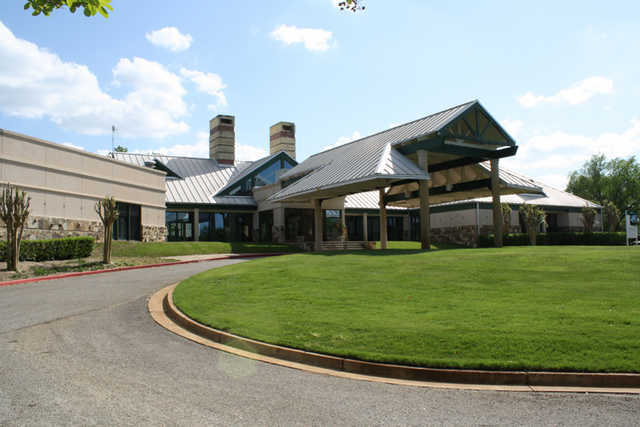 In 1992 John Sanford was blessed with some amazing terrain for the Dogwood Course addition. 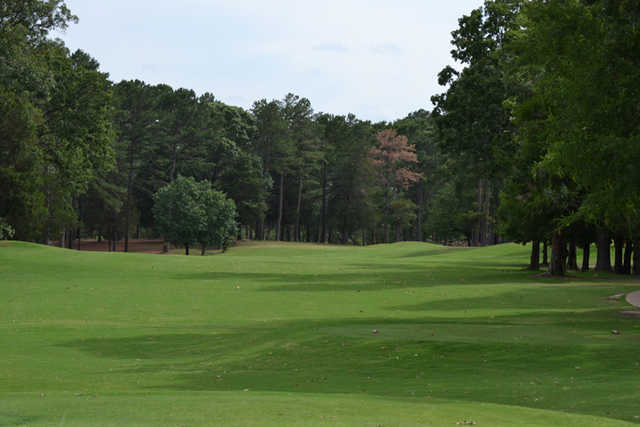 Cut out of the thick East Texas forest with 100-foot-plus tall pines, this course is most often compared to the famed Augusta National because of the abundant crape myrtle, Carolina jasmine, hollies, and dogwoods–not to mention the more than 1,500 azaleas that bloom beautifully in the spring. Although there are only two par 4s over 400 yards, the Dogwood is plenty difficult, playing to a 132 slope rating. 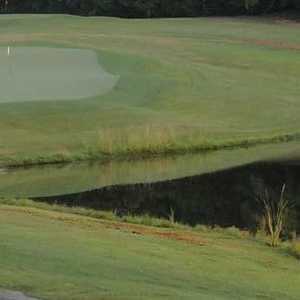 Water is in play on 12 holes, the elevation changes are extremely confusing, and the bent-grass greens are lightning-fast. The regulars know that a good start is imperative because the first four holes are the easiest on the course–two short par 4s and two easy par 3s over water. You’ll need that momentum as the holes grow increasingly more difficult. The par 3 9th hole plays 212 yards with an intimidating body of water lurking left. 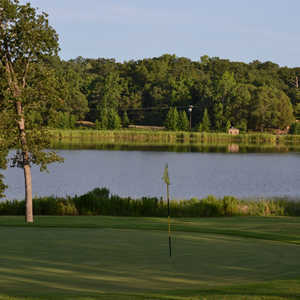 Hole 11 features a lake to the left and behind the green. No. 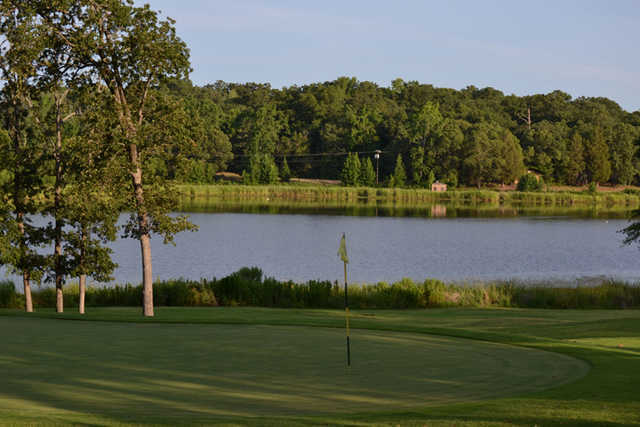 13 is the most difficult, featuring a testy drive through the chute of trees off the tee and a massive lake that protects the green. Getting there : From I-20, take Hwy. 110 (Exit 548) south. After .5 mile turn right at the sign for the golf course. Travel about 1.5 miles and turn on FM 1995. There's been a group of us from Rockwall making annual spring golf trips into east Texas since 1992. Since the Dogwood course has come on line, we've played almost every year. It's my favorite of all we play, and we've played quite a few, taking four day-trips. I'm looking forward to hitting it again in 2 weeks!